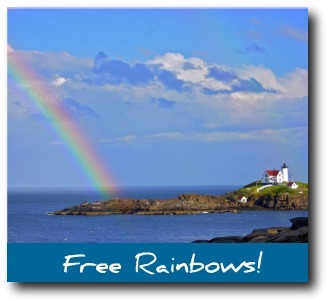 The York Maine Blog features all the changes, additions and special event postings on Inside York Maine Vacations. Stay current on your favorite vacation spot! And don't miss the Inside York Maine Vacations page on Facebook! More photos, last minute event notices, and interaction with other Fans of the site. Discover your favorite York Maine hotels right here; includes York Beach Maine hotels, Cape Neddick and York Harbor. Continue reading "Best York Maine Hotels, York Beach Maine Hotels and Motels"
Fort Foster in Kittery Point has three quiet, sandy beaches, loads of trails for hiking along the ocean, picnic areas, a pier, and old military fortifications to explore. Continue reading "About Fort Foster Maine"
Continue reading "Southern Maine Fishing, Deep Sea Fishing in Maine (York County)"
Kittery Maine hotels and lodging can land you smack in the middle of all the outlet shopping you could ever want, or cater to your desire for quiet luxury by the sea -- find them all right here. 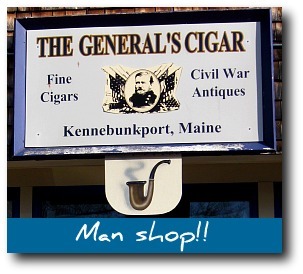 Continue reading "Kittery Maine Hotels & Lodging Guide, Links to Kittery Restaurants & Shopping"
The best Kennebunkport attractions, including tours of Kennebunkport by land and by sea. Continue reading "Kennebunkport Attractions, Kennebunkport Tourist Attractions, Tours"
Fall foliage in New England is one of the best things about living in Maine. See why! 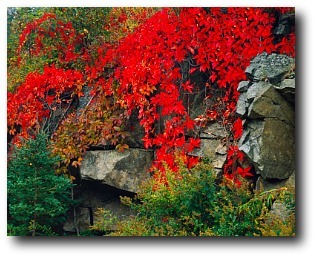 Pictures, fall foliage map, more. Continue reading "Fall Foliage in New England, Maine Fall Foliage, Fall Foliage Tours"
Cheap beach vacations in Maine for frugal family fun! Best cheap family beach vacation ideas for York Beach and surrounding towns. Continue reading "Cheap Beach Vacations In Maine, Cheap Family Beach Vacations"
Southern Maine wedding venues are second to none, anywhere in the world. Info on planning the perfect southern Maine wedding and upcoming Maine wedding shows. Continue reading "Southern Maine Wedding Venues, Maine Wedding Photographers & Wedding Shows"
What's a stand up paddleboard? Part surfing, part kayaking, and a terrific workout for all ages, stand up boarding has taken Maine and the rest of the U.S. by storm. Continue reading "Stand Up Paddleboard Surfing In Maine, Video Demo & Local Resources"
Find the best towns in Maine for day trips and longer stays: local lodging, vacation rentals, activities, events and insider tips! Continue reading "Great Towns in Maine, Best Maine Towns for Day Trips, Vacation Getaways"
The best of Boston things to do! Great ideas for an easy day trip to New England's capital city. World-class sports, museums, food and American history all rolled up into one phenomenal town. Continue reading "Best Boston Things To Do, Guide to Boston Tourist Attractions"
Continue reading "Bob's Clam Hut"
Continue reading "Norma's Restaurant in York Maine"
Continue reading "Tom's fried clams York ME"
Moose Facts! Almost everything you ever wanted to know the state animal of Maine! Continue reading "Moose Facts & Information, Moose Pictures and Video"
Sea kayaking in Maine through secluded coves, inlets and bays that line the southern coast is without a doubt one of the most spectacular ways to discover the true beauty of this scenic area. Continue reading "Find Sea Kayaking in Maine, Guide to Exploring Southern Maine Waters"
Museums in Maine from Kittery to Portland, a list of terrific options for adults and children. Portland Maine Museum of Art, lighthouse museums, antique autos...and Bigfoot. Continue reading "Museums in Maine from Kittery to Portland, Portland Maine Museum of Art & Much M"
Coastal Maine state parks are among the most beautiful and unspoiled locations in the U.S. Guide to some of the best on the coast, images and links included. 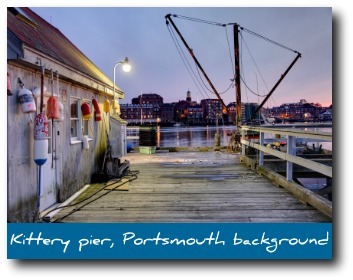 Continue reading "Great Maine State Parks, Guide to Coastal Maine Parks"
Continue reading "The Roundabout Diner in Portsmouth, NH"